This article is specific to Business Email. If you have a different type of email, please see Office 365 Android instructions, or Workspace email Android instructions. 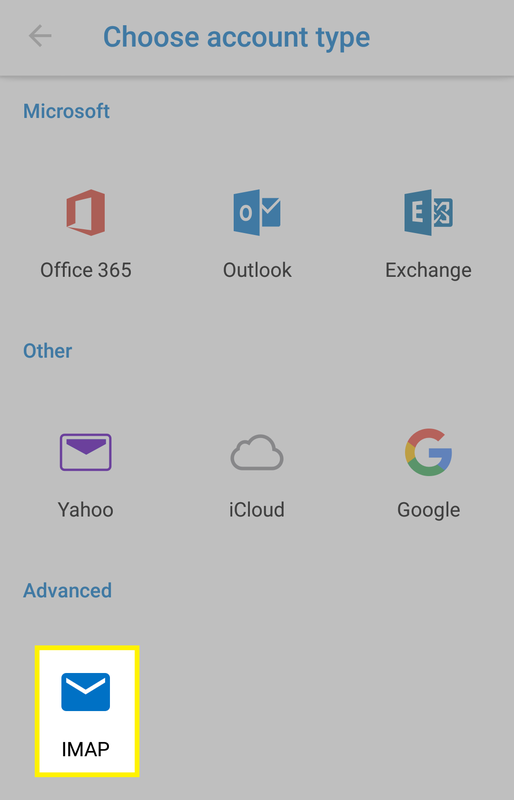 To access your Business Email from your Android phone, you can use the Outlook app. The Outlook app is compatible with Android phones and tablets running Android 4.0 and above. Note: We've used a Samsung Galaxy 5, for the instructions below. Download, install, and open the Outlook app. Tap the Settings gear in the top right corner of your inbox. 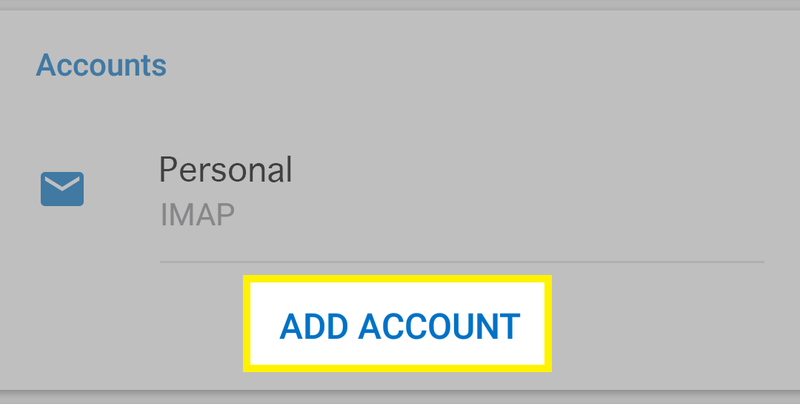 Tap Add an email account. Enter your Business Email address, and tap Continue. The Outlook app may have you select the type of email. 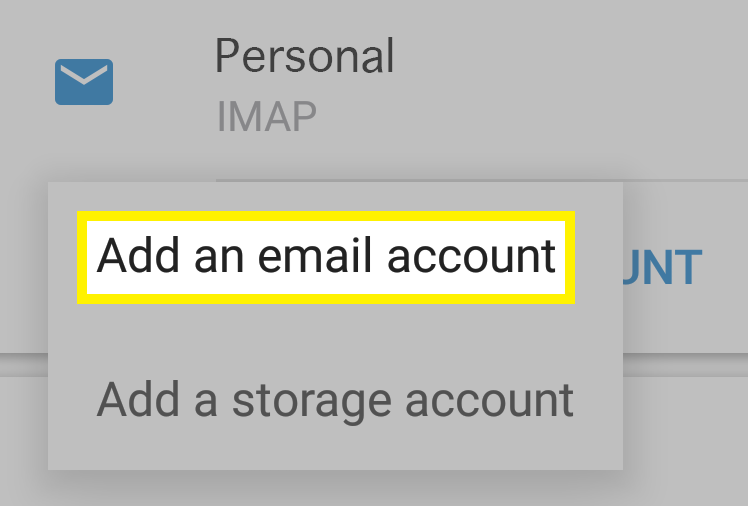 Tap IMAP. Your Email Address should be pre-filled. Tap Show advanced settings. 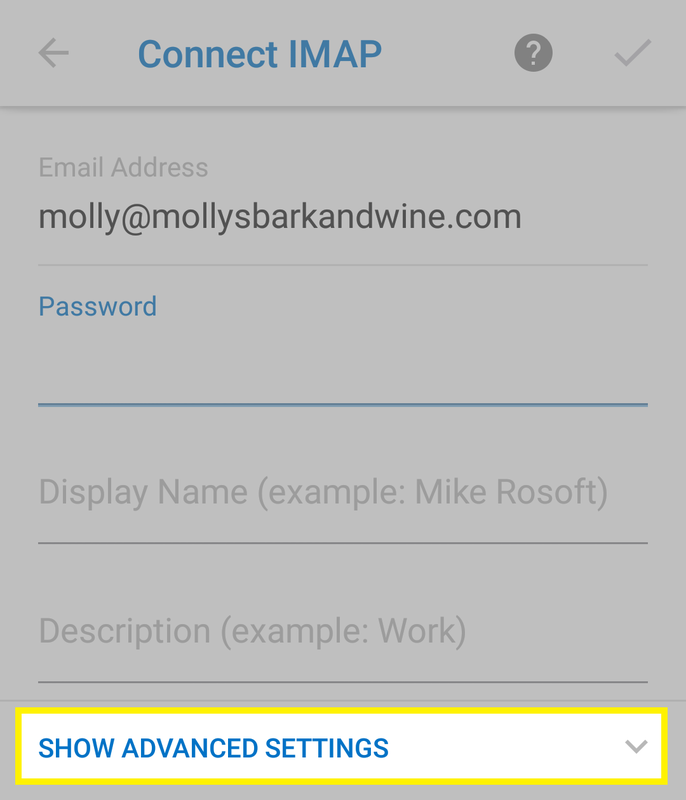 IMAP Host Name The correct incoming server address for your region, found here. SMTP Host Name The correct outgoing server address for your region, found here. Tap the check mark in the top right corner of the screen. 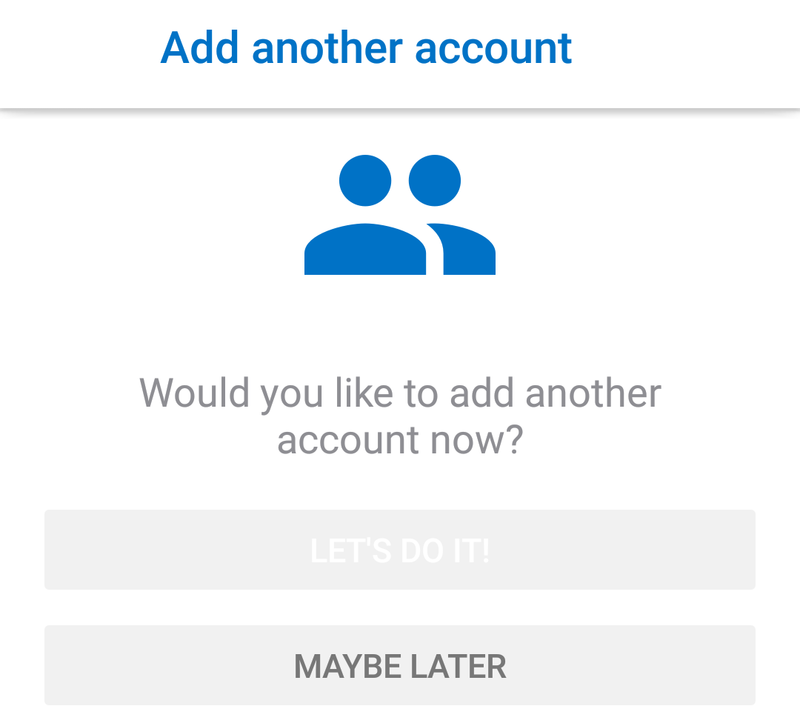 If you want to set up another email address, tap Let's do it! Otherwise, tap Maybe later to get to your inbox. Send yourself a test email to make sure everything is set up correctly. 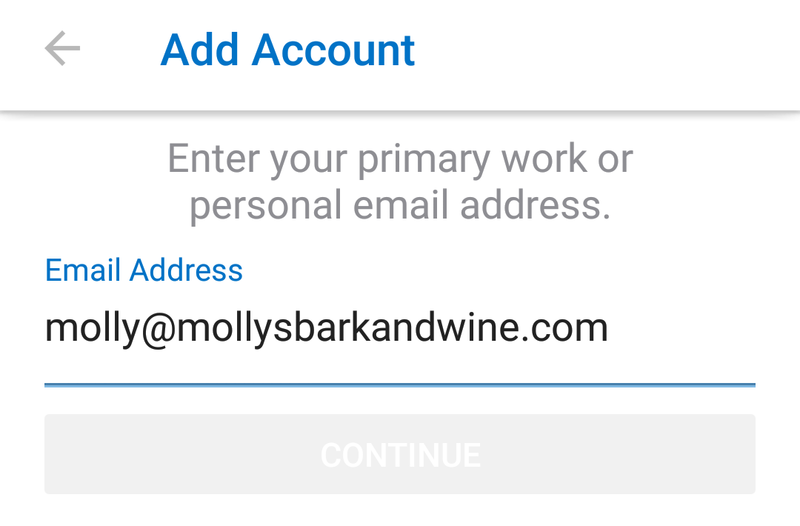 You can also set up your Business Email in your native email app on your Android.